From a charming historic downtown to expansive parks and trails, beautiful open spaces and one-of-a-kind cultural arts center, Parker, CO is the perfect place to escape the hustle and bustle of Denver for a weekend. The wild spirit of the West meets the heritage and charm of small-town life with a creative dose of cultural attractions and innovations in the mix with miles of hiking and mountain biking trails, theaters and other forms of entertainment. The Parker Fieldhouse is a large sports and recreation center that spans 100,000 square feet and offers a variety of facilities, including a gymnasiums, indoor and outdoor sports turfs, an inline skating rink, a climbing wall, a fitness loft, and personal training, batting cages and indoor golf. The center has a state-of-the-art, climate-controlled indoor inline courts for hockey, futsal, and lacrosse with spectator seating, premium lighting, and direct access to team rooms. Two batting tunnels feature a portable pitching machine (softball and baseball), bats, helmets, and dimple balls, which can be reserved by individuals and teams for practice. The Parker Fieldhouse venues may be rented for team practices, games or other private events. The H2O'Brien Outdoor Pool is a water center with a circulation and lap pool, two water slides, a spray garden, a waterworks play structure, a concession area, and a shade pavilion. Located in the center of town at South Parker Road and Mainstreet, the H2O’Brien Pool also boasts three smaller slides for kids 10 and under and safe zero-depth play area and paddling pool with sprays and geysers. Parker Aquatics offers small group swimming lessons for children, teenagers, and adults at the pool during certain times, and the complex has spaces that can be rented for private parties and special occasions. 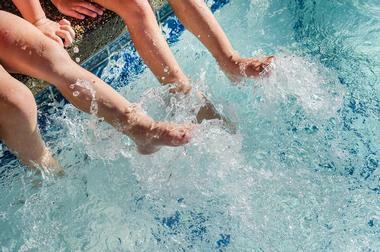 The H2O'Brien Outdoor Pool is only open seasonally during the summer months. 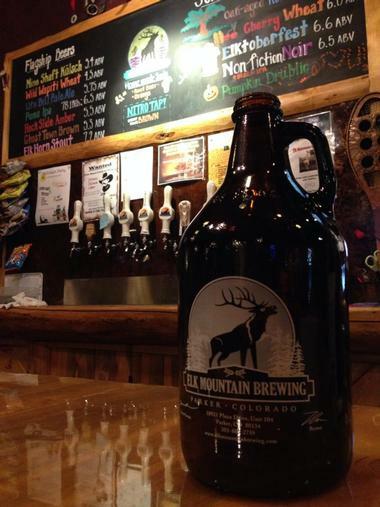 Downhill Brewing, previously known as Elk Mountain Brewing, is a locally owned and operated brewery with a pizza kitchen and friendly, welcoming ambiance. The brewery produces a range of brews including IPAs, pale ales, seasonal and limited releases and more, which can be sampled in the tasting room or on the outdoor patio. Signature brews include Saturday Nut Fever – a peanut butter brown ale; Case of the Mondays – a coffee milk stout; Would or Wouldn’t IPA; Last Caress – an Imperial IPA; Collision Kölsch; Team America Fruit Saison and Aprés Amber, an American Amber. The friendly brewery team offer unscheduled tours of the brewery and a spacious, fenced in patio is available for visitors’ dogs to play. Vehicle Vault is an auto gallery and elite custom garage that features an outstanding collection of rare and exotic automobiles from all over the world and offers a unique venue for special events and functions. Established to provide discerning car collectors with a place to keep and maintain their prize investments, Vehicle Vault is a stylish and modern museum spanning 35,000 square feet with permanent and rotating exhibits of cars from every decade since the turn of the 20th Century. 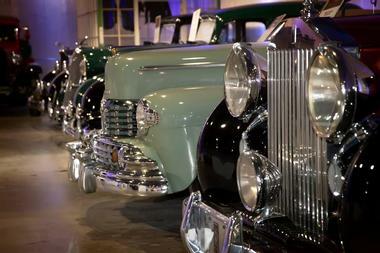 The permanent collection features cars from critical periods in history ranging from the Prohibition and Pre-War era, the Brass Era, and Drive-In years to Hot Rods, Classic Muscle, Customs and Exotics. The spectacular museum also showcases a variety of fine artworks by local artists and provides a stunning venue for all types of events from board meetings to black-tie reception, banquets, and car shows. 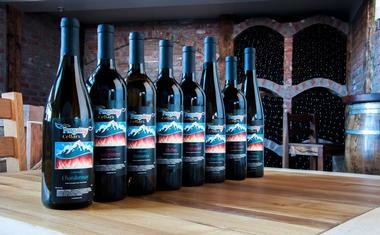 Founded in 2014 by winemakers from Croatia with a love of Colorado and Colorado grapes, Purgatory Cellars Winery produces award-winning, handcrafted wines made from hand-selected Colorado grape growers. Using an ancient winemaking tradition that dates back to the 6th century, wines are fermented and stored in Georgian Amphora (Qvevri) clay pot containers to produce complex and soft tannins and incredible flavors. The first winery in Colorado to utilize this ancient method of producing Amphora-aged wines, Purgatory Cellars Winery has produced Colorado Governor's Cup Medal-winning wines such as Merlot Reserve (Silver), Cabernet Sauvignon (Silver), Riesling Ice Wine (Bronze), Malbec (Bronze), Riesling Late Harvest (Bronze), Chardonnay Amphora (Silver), and Cab Franc Ice Wine (Gold), among others. Purgatory Cellars Winery offers cellar tours, tastings, wine club memberships, and can be rented for special events and functions. The Sulphur Gulch Trail is a four-and-a-half-mile-long hiking and biking trail within Riva Ridge Park with an elevation of 5,912 feet. 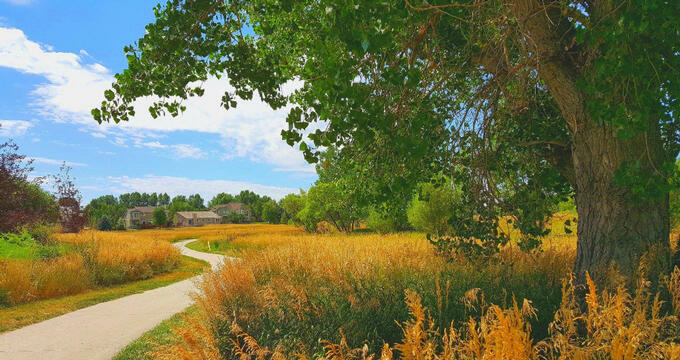 The trail runs along the Sulphur Gulch, which is one of the tributaries of the Cherry Creek and connects the Cherry Creek Trail within Bar CCC Park, before meandering east beneath Parker Road and through town. 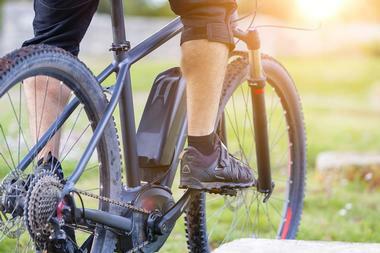 A variety of amenities can be found along the trail, including benches, restrooms, drinking water fountains, parking for bicycles and motorcars, and plenty of shade. The trail also features the Flat 14er Designation, an initiative to encourage community members to increase their level of physical activity by climbing virtual 14ers with directional signs along the way. The Parker Recreation Center is a state-of-the-art recreation and sports facility with more than 30,000 square feet of space featuring an array of amenities and facilities for sports and fitness. 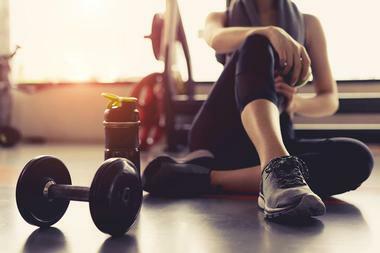 Opened in 1994, the facility boasts a three-floor gymnasium and auxiliary gymnasium, fitness studios, a cycling studio and multi-station with free weights, cardiovascular and circuit equipment. The center also has a lap pool with a shallow end, a therapy pool, and an activity pool with zero-depth entry, play structures, an aquatic climbing wall, water slides, and a lazy river. 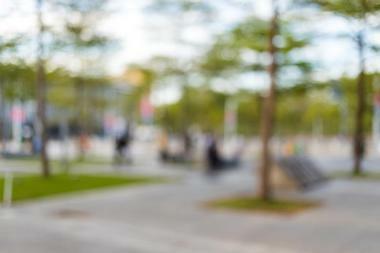 Locker facilities and family changing rooms are available, and the Recreation Center offers an active schedule of sports and fitness classes including aerobics, cycling, toning and strength classes, yoga, Pilates, and Aqua Aerobics. Discovery Park is a 1.4-acre community park and plaza in the heart of Parker that features interactive fountains in the summer, a vibrant ice trail in the winter, and performances and events throughout the year. Located next to Parker’s new library on Mainstreet and Pine Drive, the park offers year-round activities such as the Discovery Park Play Fountain, a 900-square-foot water feature that includes programmable water jets and color changing LED lights. Winter sees the opening of the Parker Ice Trail at Discovery Park, which meanders through the park like a frozen river or canal with fire pits along the way for skaters to warm up and or enjoy hot chocolate while watching skaters pass by. A performance stage is located at the north end of the park for concerts or performances, which are hosted during the summer months and the park is home to the "Ball and Jacks" sculpture by local Colorado artist, Christopher Weed. 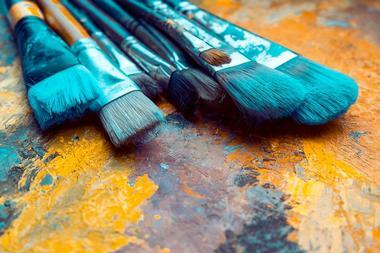 The Jay Moore Working Studio and Showroom is home to local artist Jay Moore who graduated from the Colorado Institute of Art and worked in graphic design and illustration for several years before concentrating on full-time on painting. Today, his paintings have appeared in magazines, exhibitions, and collections across the country. His works can also be found in galleries around the country including the Denver Art Museum and the Pioneer Museum in Colorado Springs. Visitors can visit and tour Jay Moore’s working studio and showroom in historic downtown Parker by appointment. The Parker Symphony Orchestra is a community orchestra that conducts performances throughout the year at the PACE Center in Parker. Established in 1994, the orchestra aims to educate, entertain and inspire audiences through beautiful classical orchestral music by presenting exciting and entertaining performances with a wide variety of musical genres. 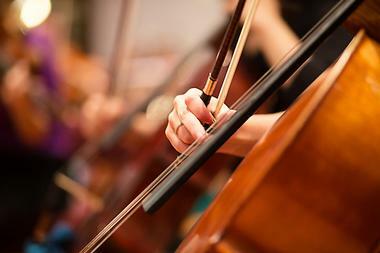 Based at the PACE Center, which has outstanding acoustics and seating with unobstructed views of the stage, the Parker Symphony Orchestra offers a full calendar of performances for the season. Boondocks Food & Fun Parker is a family-friendly theme park that features a variety of indoor and outdoor attractions for the whole family. Fun activities at the park include go-karts, miniature golf, bowling, bumper boats, laser tag, and a huge games arcade with a prize center. 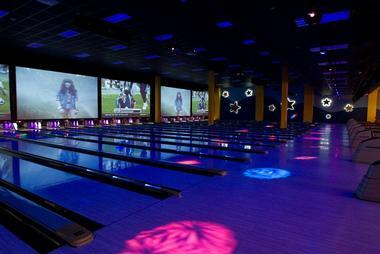 The bowling center features eight private lanes, two billiard tables, a cozy fireplace, giant HD projection screens, and catered food and cocktails packages if required. In addition to regular go-karts, the park has a rookie track for young children, plenty of food and drinks concessions, and offers specials and seasonal packages throughout the year. Portofino Pizza & Pasta is a casual counter-serve Italian eatery that serves wood-fired pizza, homemade pasta and sauces, calzones, and gourmet hero subs in a warm and welcoming setting. Exuding a friendly, inviting ambiance that reflects the Italian heritage of the owners, Portofino Pizza & Pasta is the place to go for mouthwatering plates of sharing antipasto, wood-fired pizza and calzones, hearty meat and seafood entrées, hand-thrown pasta and homemade sauces from old family recipes, and of course, decadent desserts like tiramisu. The restaurant also offers daily specials for lunch and dinner and has an extensive wine list with casual wines, craft beers, and imported spirits. 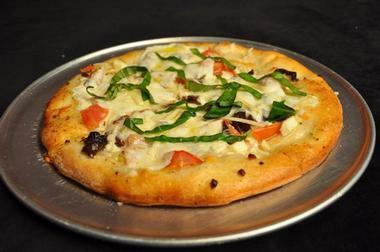 Portofino Pizza & Pasta is open for lunch and dinner, seven days a week. 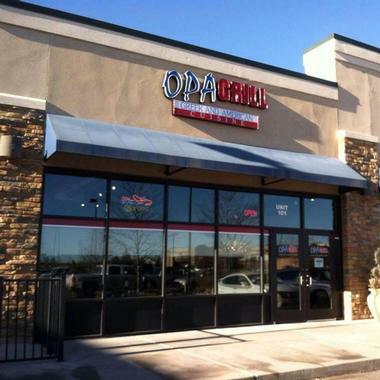 Opa Grill is a quaint, family-owned, neighborhood eatery and bar that serves authentic Greek and American fare in a friendly and relaxed setting. Owned by Thanos Patsiouras who opened the restaurant in 2009, Opa Grill serves classic Greek dishes from old family recipes that reflect an ancient culinary tradition dating back 4,000 years. Using on the freshest and highest quality ingredients, such as extra virgin olive oil, Greek feta cheese, and olives, as well as herbs such as thyme and oregano, Patsiouras creates a menu of mouthwatering dishes. The full service restaurant boasts a contemporary, neighborhood bistro setting with a European-styled dining area and friendly, professional staff and is open for lunch and dinner with reservations required for weekend dinners. Indochine Cuisine is an intimate Asian Fusion restaurant that serves a Thai-inspired menu of mouthwatering cuisine. 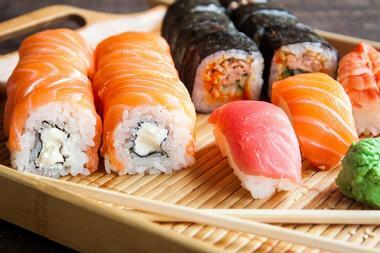 Hailed as one of the top three Asian Fusion restaurants in Colorado, Indochine Cuisine offers an extensive menu of gluten-free, soy-free and vegan dishes, freshly prepared sushi, and a range of Asian favorites. Enjoy Pad Thai of stir-fried rice noodles with eggs, Green Curry with Indochine Cuisine’s Green Curry Paste, and Flamed Beef Cubes, Tom Yum soup, and Cashew Chicken. Indochine Cuisine is open for lunch and dinner, seven days a week and offers take-out and catering services with custom-made menus on request. Casa Mariachi is a family-owned and operated restaurant in Parker that serves authentic Mexican food and fresh margaritas. The menu features a variety of dishes showcasing authentic Mexican cuisine prepared with traditional recipes using only the freshest local ingredients such as fajitas, flautas, tacos, burritos, and tortas, along with agua frescas. 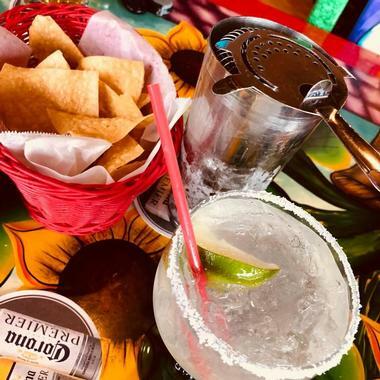 Dishes are served with an array of award-winning sauces, homemade nachos, creamy guacamole, and other sides, as well as a range of beverages, including homemade margaritas, pina coladas, Jarritos, and Calistoga. Pancho Villa Taqueria is open for lunch, and dinner, seven days a week.